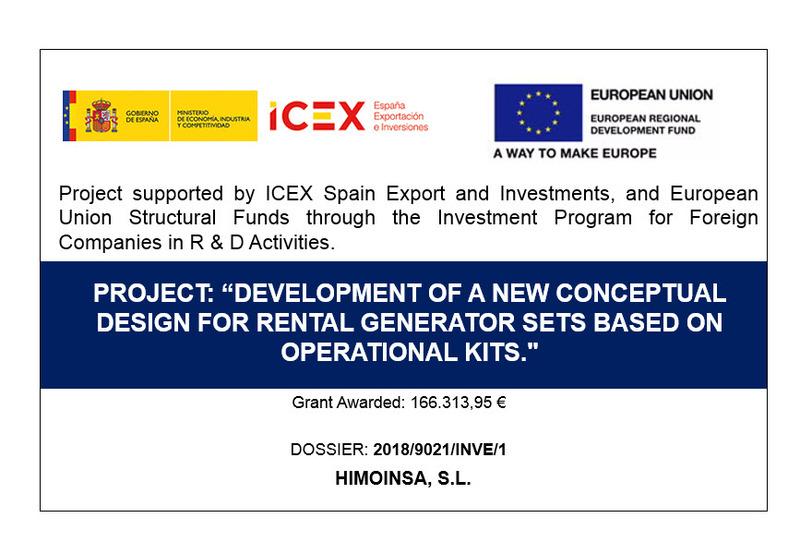 Project supported by ICEX Spain Export and Investments, and European Union Structural Funds through the Investment Program for Foreign Companies in R & D Activities. The agreement extends the training and employment programme that was originally signed in 2015, thereby making it possible to continue offering job opportunities to UPCT Industrial Engineering students. More than 30 HIMOINSA generator sets supplying emergency power to multiple facilities along the Xiaomo Highway, one of the most important arteries of commercial traffic linking China with Southeast Asia. With the ultimate goal of continuing to contribute to the quality of the company's client service, the meeting allows it to present the latest developments in the After Market area, as well as the new implementations made in the HIMOINSA POWER SUPPORT management platform. 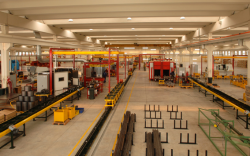 The North American subsidiary of HIMOINSA has designed a new dealers program that provides it with a solid structure with which to market its new product lines: SafeGuard, Heavy Duty Industrial and Tier 4F in the USA and Canada. One of the first solar-diesel hybrid power plants in Argentina has been set up in the town of Malvinas, in the province of Corrientes. 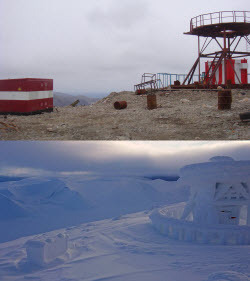 HIMOINSA generator sets as a single source of energy in the San Martín and Esperanza bases in Antarctica. The units, which the Argentine Army has installed after a difficult manoeuver, guarantee maximum performance under the most extreme conditions. HIMOINSA generator sets have been chosen to supply emergency power to Malta's biggest sport shooting range. 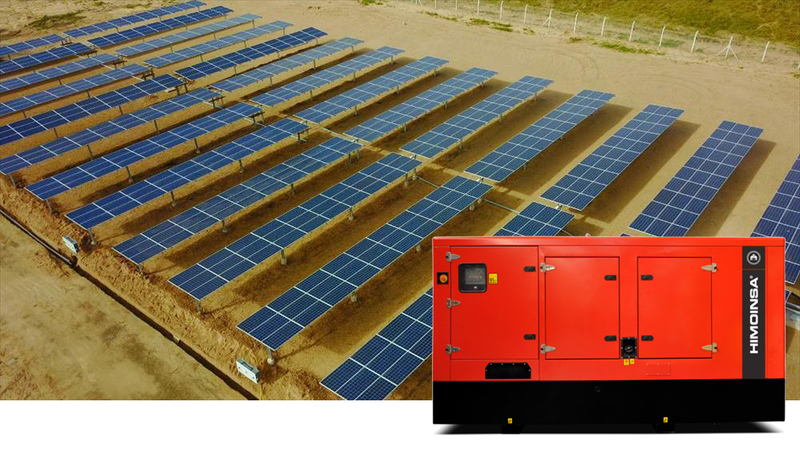 HIMOINSA supplies HYW-35 T5 generator sets, which generate standby power to guarantee the electricity supply of HOTÊL POKO, located to the west of Ouagadougou in Burkina Faso. 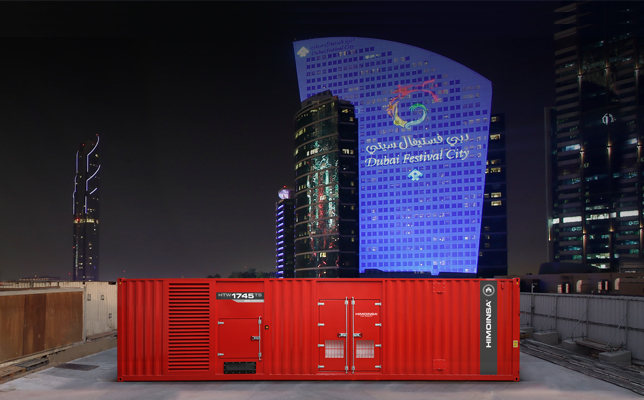 Offering power generation solutions and promoting the role of generator sets in hybrid projects using renewable energy, where diesel and gas-powered generators guarantee a reliable supply and continuous service. Several HIMOINSA generator models are supplying power to carry out maintenance on oil rigs in the port of Las Palmas de Gran Canaria, in Spain. HIMOINSA Power Solutions Ltd., the HIMOINSA subsidiary in the United Kingdom, has been recognised by Hire Association Europe as a “Hire Industry Trusted Supplier” (HITS) for its environmental, quality and safety policies. RED System is the digital platform designed by HIMOINSA to give the company's entire sales and distribution network access to the latest technical and marketing information at all times, making it possible to create offers and track projects anywhere in the world. How do HIMOINSA canopies withstand heavy snowfalls and storms? In the event of extreme weather conditions involving rain and snow, the design and composition of HIMOINSA canopies reduce water ingress to the minimum. 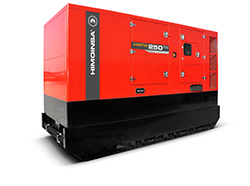 HIMOINSA generator sets safeguard the bank's operations by supplying up to 1,000kVA of stand-by power in the event of a power cut. After the incredible third position achieved last year, the team's ambitions stay intact, as they take on the Rally's 40th edition with the highest aspirations. Located in Santa Fe and occupying some 12,000 square metres, the new centre has the capacity to produce 3,000 generator sets of between 8kVA and 1745kVA each year. 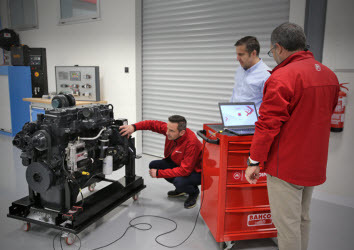 Fitted with Cramaco alternators, these generator sets will be wholly manufactured in Argentina and sold both there and in the markets of Chile, Uruguay, Paraguay and Bolivia. 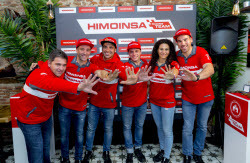 HIMOINSA, a global leader in the manufacture of power generation systems, has reached an agreement with ASO, Amaury Sport Organisation, organiser of the Dakar Rally, to supply power during the race. 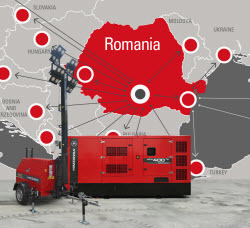 A facility of over 1500m2 to cut genset delivery times to the distribution network in neighbouring countries. 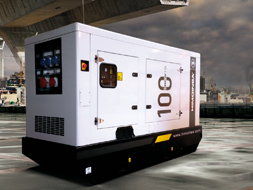 The generator has an uninterrupted running time of 48 hours, thanks to an external 20,000-litre tank and a redundant transfer system that guarantees the plant's power supply in the event of a mains failure. 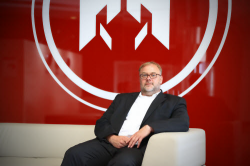 The subsidiary has also taken on a new Technical Director to offer a more flexible service that is tailored to the needs of the German market. This market has seen a very positive trend in recent months. 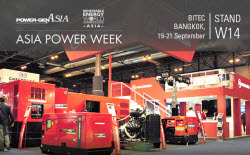 The company will showcase its latest product launches at Power-Gen, being held in from 19th to 21st September, as part of Asia Power Week, the international biannual exhibition known as the biggest power show in South East Asia. 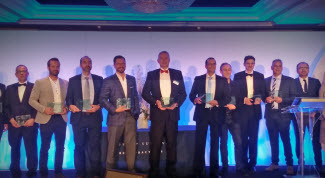 Frost&Sullivan, the market research agency, awarded HIMOINSA its prize for Growth Excellence Leadership, during an award ceremony that took place in London last night. The project required the generator sets to be positioned in line, which meant it was necessary to modify the power and fuel connections of one of the units to optimise the installation, not affect the performance of the equipment and to reduce costs. 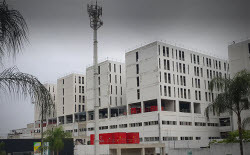 HIMOINSA has supplied 12 stand-by generator sets to provide power to the six towers of the new hospital in the north of what is the most densely populated city in Ecuador. 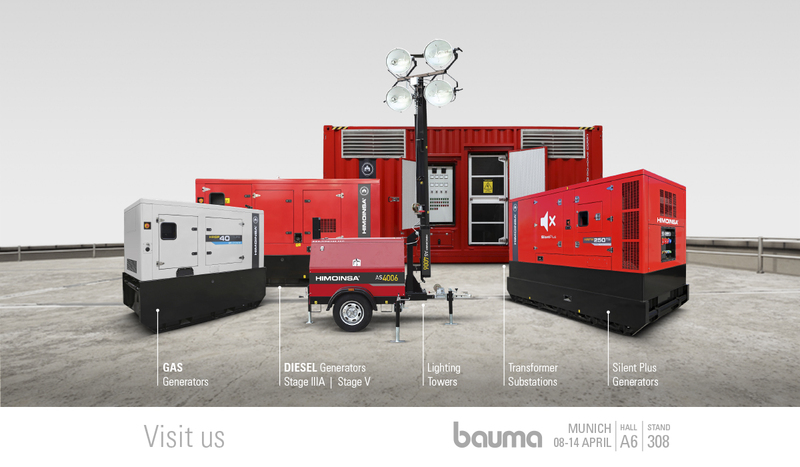 HIMOINSA is returning to IRE, the International Rental Exhibition, being held in Amsterdam from 2 to 4 May, to showcase its lighting towers and generator sets designed specifically for the rental market. 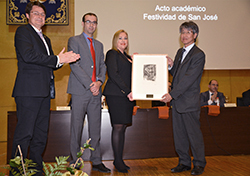 HIMOINSA has received the ‘Mateo Vodopich' prize which is awarded every year by the Universidad Politécnica de Cartagena (the Polytechnic University of Cartagena - UPCT) to companies that help to train university students at the School of Advanced Industrial Engineering (ETSII). 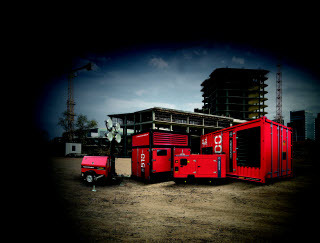 Two 500kVA generator sets in 10 ft containers supply stand-by power to prevent outages in the Versluys Arena stadium. 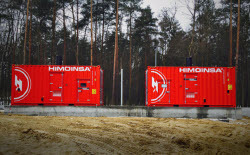 HIMOINSA's branch in North America will house all operations, from design and engineering to sales and support, including production for the company's upcoming, newly designed and engineered, Tier 4 Final-compliant portable generators. 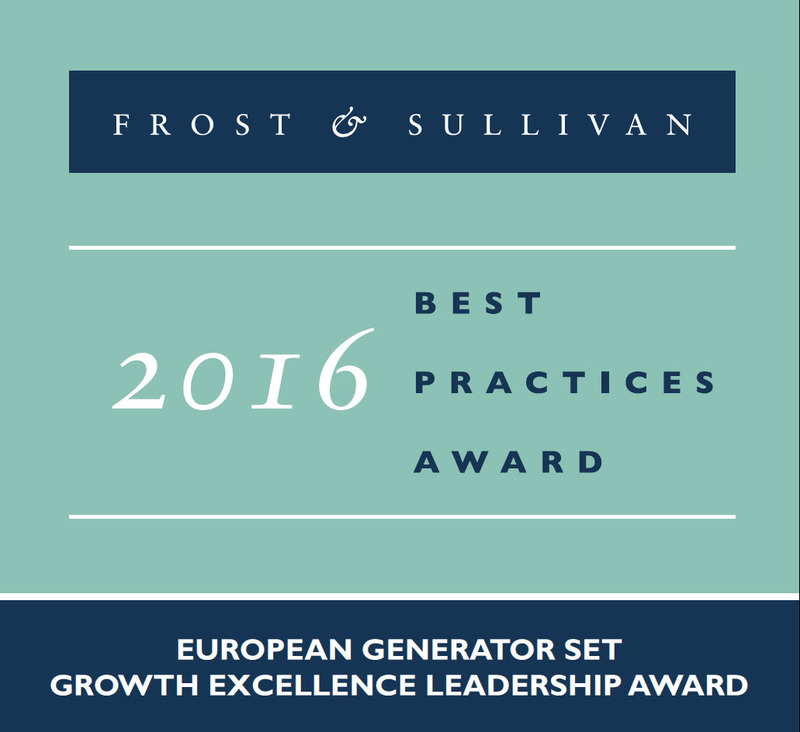 The market research agency Frost & Sullivan recognised the company for its ability to achieve above-average, sustainable growth, with a customer-focused strategy. 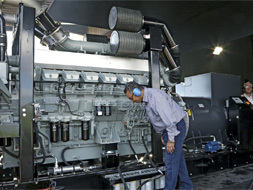 Four HIMOINSA generator sets are supplying 5.2MVA of power for IMAGINE. A spectacle rivalling any show in the world, featuring fire, light and lasers projecting detailed imagery onto a huge dancing wall of water holding the Guinness World Record. The HIMOINSA Racing Team, undoubtedly the best private team in the world as well as the best Spanish squad, stood out from the rest once again in this Dakar 2017. 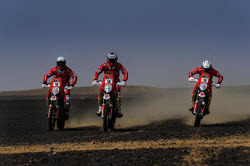 The team gets back from Argentina with the third position in the World's toughest rally raid, in reward for the hard work and team spirit of an exemplary structure. 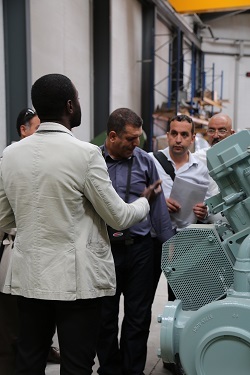 Flexibility and its ability to rapidly design and manufacture its generator sets have allowed the company to adapt them to the special conditions demanded by the project for Morocco's new finance center. HIMOINSA has designed a complex triple switching system that connects to three different power supply networks and is capable of optimising the hours of operation of the generator sets that guarantee the emergency power supply of important hotel resorts in Algeria. 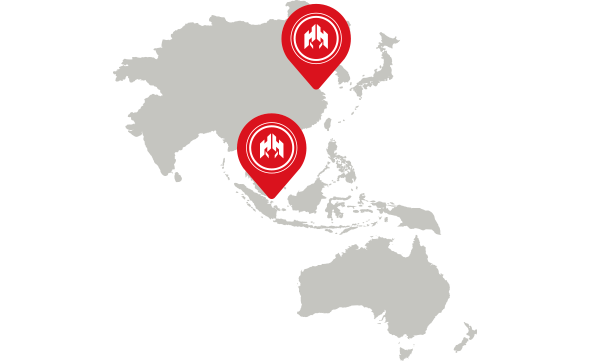 The factory that HIMOINSA established in China in 2006 has brought together the whole distribution network in Asia-Pacific to celebrate its 10th anniversary in the country. 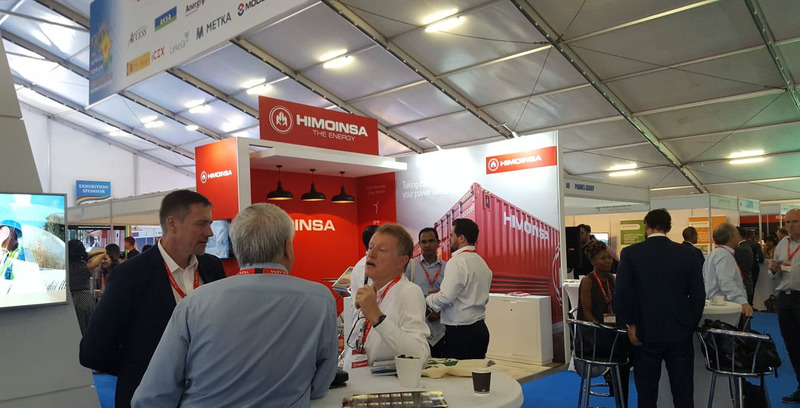 The attendees learnt about the new launches of the year, the market situation in APAC and the special projects that HIMOINSA has done in the region. HIMOINSA has just released the Silent Plus Range, which reduces noise emissions without limiting the performance of the machine. 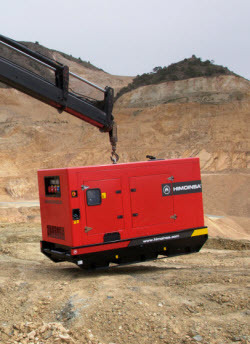 The range of generator sets will include Yanmar, FPT-Iveco and Scania engines that will cover a power range of between 20 and 500 kVA and will guarantee a noise level of around 60 dB. 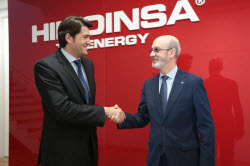 Coinciding with the 20th anniversary of HIMOINSA's first exports to other European countries and with a view to analysing the trends for the coming years, the company has invited its entire continental network of distributors to its headquarters in Spain. The purpose of this Convention was to discuss the products that are currently being developed for the European market, to study the current situation in Europe and to address the company's growth over the years to come. HIMOINSA enables 500 researchers to work at the University of Murcia's Biomedical Research Laboratory (LAIB) with two gas generator sets. The gensets work in parallel with the grid during peak demand periods. The units supply energy for the construction of the Basilica. Other stand-by HIMOINSA generator sets supply emergency power to the temple and the shops in Gaudi's iconic project. 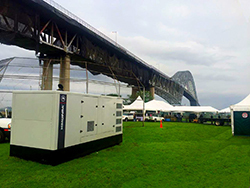 For operational purposes, the service company of one of the main distributors responsible for supplying electricity to the Republic of Panama has purchased 11 HIMOINSA generator sets, ready and able to generate up to 5 MW of power when working in parallel. Hybrid solutions allow companies to reduce their fuel costs and their OPEX and to take advantage of solar resources in areas with high levels of solar irradiation. The new commercial office will cover the markets of Zambia, Zimbabwe, Malawi, Botswana, Namibia, Lesotho, Swaziland and South Africa. Representatives of the Egyptian Ministry of Defence, the Suez Canal Authority and national telecommunications companies such as ETISALAT expressed interest in the generator sets and the lighting towers that were presented during an event organised by OTRAC HEAVY EQUIPMENT, HIMOINSA's official distributor in Egypt. All five team riders crossed the finish line. 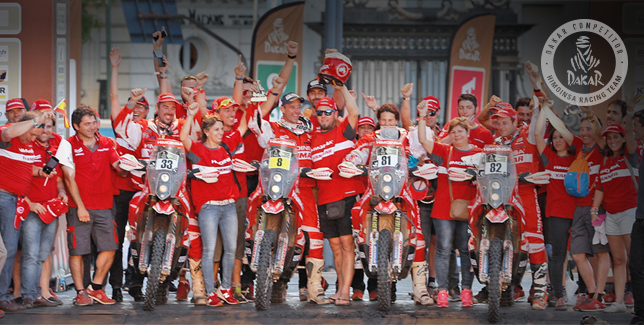 A perfect finish for what has become the leading private team at Dakar 2016. Gerard Farrés finished in 8th place, making him the highest-placed Spanish rider in the race. HIMOINSA's figures for year end 2015 are very encouraging: increased turnover, more employees and a greater international presence. HIMOINSA has signed an agreement with the Technical University of Cartagena (UPCT) to launch a training and recruitment programme this year, under which 20 students from the School of Industrial Engineering will be taken on over the next five years, at a rate of four students per year. Asia-Pacific is currently the company's third strongest market and is expected to account for 30% of total company sales in the next three years. In the past 19 months, HIMOINSA generator sets represent a 7% share of the total market for generator sets in Saudi Arabia. Multinational energy company HIMOINSA has delivered 29 generator sets to provide standby power to various sections of the railway line that crosses the coastal and desert areas of Saudi Arabia, between Mecca and Medina. HIMOINSA has supplied Acciona Agua with five generator sets for operation in four water treatment plants in different locations in Egypt. 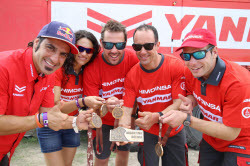 Riders Miguel Puertas, Rosa Romero and Antonio Gimeno will race the Dakar 2015 with the colours of the HIMOINSA TEAM. 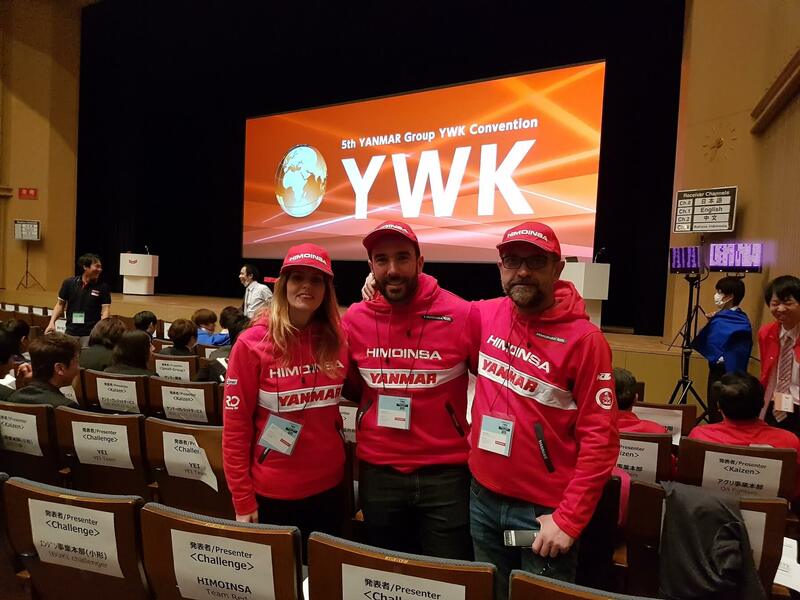 Yanmar, Vision Advisor and HIMOINSA are the official team sponsors. Every day, HIMOINSA gas generators power several floating platforms at Cupquelan, one of the best known salmon farming businesses in Chile. 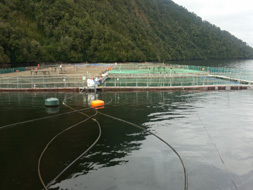 Located in the Aysén del General Carlos Ibáñez del Campo Region, in southern Chile, the Cupquelan Fjord offers ideal natural conditions for salmon farming. According to a recent report commissioned by the Chile Salmon Industry Association, of the 2.85 million tonnes of salmon produced worldwide, farmed salmon accounts for 1.82 million tonnes, of which Chile produces 36%, making it the second largest producer in the world behind Norway, with 43%. 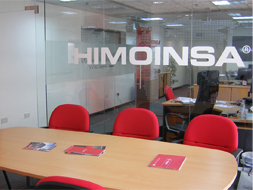 HIMOINSA's subsidiary in the Middle East is celebrating its 10th anniversary and inaugurating its new facilities in the United Arab Emirates. Over the last 10 years, the company has been steadily increasing its volume of sales. 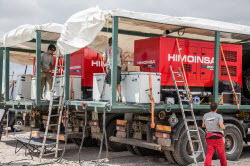 About 4,000 generator sets and lighting towers have been delivered to the distributors and rental companies that HIMOINSA works with in the UAE, Saudi Arabia, Oman, and Pakistan. 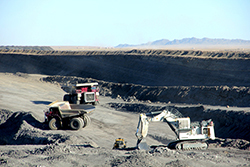 HIMOINSA generator sets and lighting towers are operating in Tavan Tolgoi, a coal deposit located in southern Mongolia, where extreme changes in temperature, which ranges from -40°C in winter to over 35°C in summer, require the use of robust, durable and high-quality equipment. HIMOINSA has supplied power using more than 25 generator sets for the construction of one of the most important biofuel manufacturing plants on the African continent. 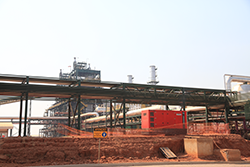 Situated in Cacuso, 75 kilometres from the city of Malanje (Angola), the plant is managed by BIOCOM, a temporary consortium (UTE) comprising Sonangol, Sociedade Nacional de Combustíveis of Angola, and the Brazilian construction company, Odebrecht. UK market experiences ongoing upturn, driving growth of the subsidiary HIMOINSA Power Solutions Ltd since it was set up eight months ago in Gateway, Crewe. 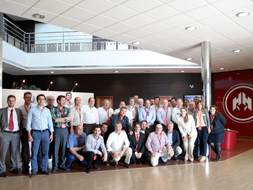 Around twenty distributors and representatives of HIMOINSA in Spain gathered in San Javier in Murcia region for the HIMOINSA Spain 2014 Convention. At this annual event, all commercial agents had the opportunity to find out about the new HHW series of generator sets and the complete range of Apolo lighting towers that the company recently launched and will showcase in more detail at the IRE Show (IRE), Europe's largest show for rental companies, from 24 to 26 June in Amsterdam. The reform of Mexico's energy sector signed into law on 20 December opened the door for private companies interested in investing in the country's oil sector. Though Mexico was one of the first countries to nationalise its oil industry, it has lagged far behind Venezuela, Brazil and Colombia, which attracted over $100 billion of foreign financing, in liberalising this sector. This is why the Mexican oil industry is currently considered to be at an interesting threshold, promoting energy generation and with major projects in the pipeline.